During the summer term, we will visit Italy for a twelve-day course, from June 10-22. 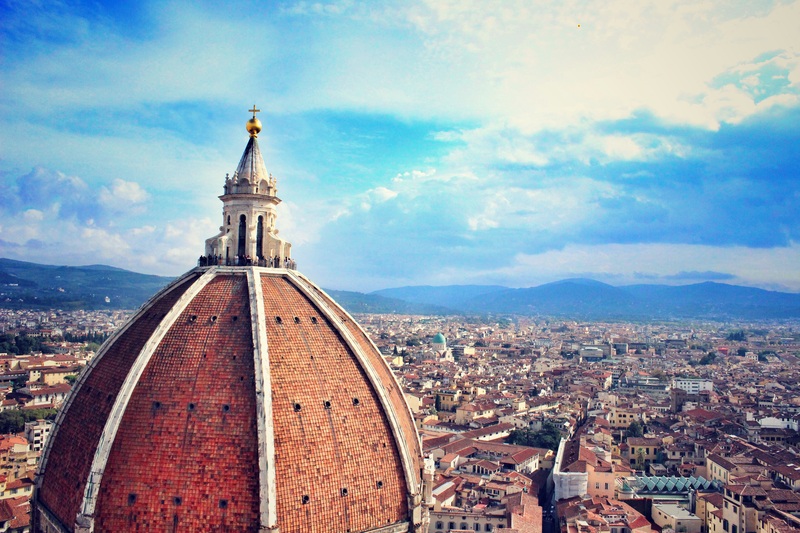 In Italy, we will spend time in Florence, hosted by Lorenzo de’ Medici, the Italian International School. Besides touring and learning about history, arts, and traditions in Tuscany, we will spend a weekend in Rome visiting the Romans forum, the Colosseum, the Sistine chapel, etc. This course aims to develop and practice basic Italian conversation and vocabulary while immersing students to various aspects of the Italian lifestyle and culture. You can find the syllabus here. Anna Rein completed all her undergraduate and graduate studies in Italy (University of Pisa and Ca’ Foscari, Venice). She has taught foreign languages (English and Italian) for over 30 years both in Italy and in the US. She has worked as an adjunct Lecturer at USM and as a Senior Lecturer at Bowdoin College since 2000. In both institutions she teaches Italian language and culture courses. She is an ACTFL OPI and ILR certified tester. Besides working as a language instructor, Anna has worked as an Italian language consultant for ETS, DLI, ACTFL, and NFLC. The approximate program fee is $2,700 + international airfare. Tuition and fees are also an additional cost.This fee includes accommodation, in-country travel, site visits, field trips, some meals, and iNext's comprehensive insurance plan. All participants on USM travel programs receive the in-state tuition rate regardless of residency.